The new rules require that all short-term rentals are inspected, insured and licensed by the city. 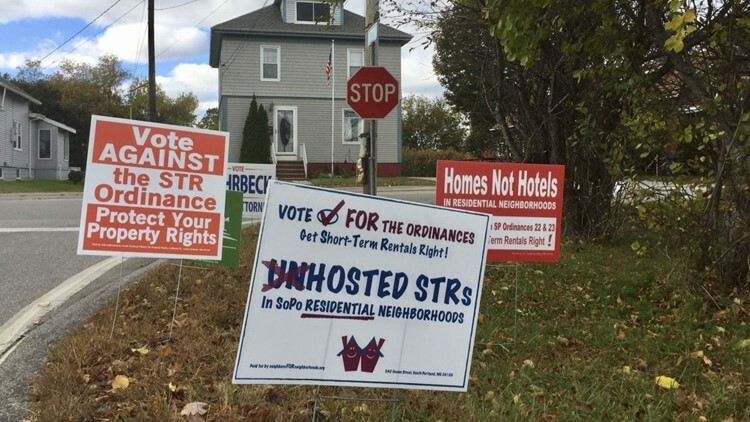 SOUTH PORTLAND, Maine (AP) — Voters in a Maine city have approved new rules restricting short-term rentals through services such as Airbnb. The Portland Press Herald reports South Portland residents approved the regulations Tuesday by a margin of about 1,000 votes. City Manager Scott Morelli said Wednesday the regulations will go into effect Jan. 1. The new rules require that all short-term rentals are inspected, insured and licensed by the city. Single-family homeowners are limited to renting their homes for up to 14 days a year while they are on vacation. Supporters of the regulations say they will help preserve the city's neighborhoods. Opponents argued the rules would put most short-term rental operators out of businesses. The leader of a group that opposed the ordinances declined to comment on the referendum.